Specialists noticed, for quite a while, that pet therapy can bring a wide range of benefits to people suffering from all kinds of health problems. Sitting in a hospital, being subjected to daily medical treatments, and dealing with all kinds of discomforts, can put a significant weight on the shoulders of a patient. Who Can Benefit from Dog Therapy? Are There Any Risks Related to This Type of Therapy? What Characteristics Make the Best Dog Breeds Good for Therapy Work? Thus, alternative therapies are used to improve one’s mental status and mood, with the purpose of alleviating one’s condition and speed up the healing process. Dogs are one of the best animals used for therapy work, due to the fact that they are so friendly and easy to train. Small dogs are, in particular, preferred because they will fit in any type of case, including private hospital reserves. Also, they are less intimidating, so that even those who fear dogs can accept them and benefit from this form of therapy. This type of therapy is based on the natural bond between humans and animals. Thus, it is something that occurs naturally, although a dog must be trained in order to become a therapy dog. Because we feel so good in the company of a pet, there’s a wide range of advantages one can enjoy when it comes to pet therapy. Just having a friendly dog in our lap makes us feel better. 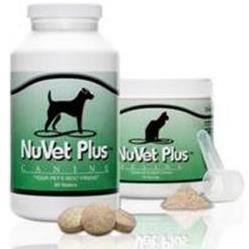 Blood pressure is reduced and mental tonus is improved. Our body can also produce endorphins when we cuddle a small and cute dog, which calms us down and work on diminishing physical pain and discomfort. In other words, we feel less stress and worried when we have a dog as our companion, even if just for a short period. But, believe it or not, dog therapy can be used in a variety of other ways, not just for improving mental status and health. It can make patients want to interact and communicate more with others. It can chase away loneliness and boost self-esteem. It can increase the desired to exercises, willingness to speak and even join various activities. Children will become less bored and anxious with the help of this therapy while learning all about nurturing and showing empathy. In the case of adults, the feeling of isolation and depression will be considerably diminished, while improving their relationship with caregivers. Dog therapy can help people in a wide range of situations, even in the most unfortunate of them. So, this type of therapy is recommended in the case of patients going through chemotherapy or those that spend a lot of time in health-care facilities. 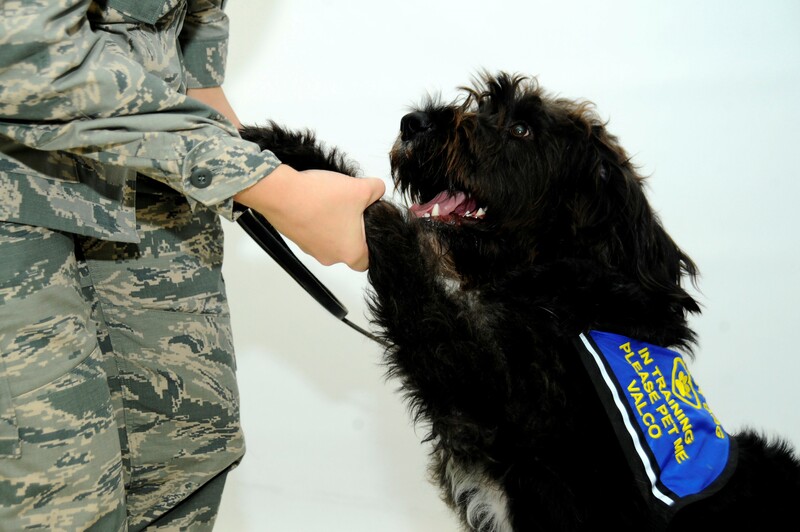 Those that suffer from post-traumatic stress, are hospitalized with chronic heart failure, suffered a stroke or undergo procedures meant to help them regain motor skills, they can all feel better with the help of therapy dogs. But, this therapy can help patients regardless of their health problem, mental health issues, or medical procedure they have to suffer. It was discovered that a person is less stressed by the event of a medical intervention if a dog is present in the room. So, these small and friendly creatures can easily make us feel better, even when we feel down. Therapy with pets may be effective, but it does come with a set of risks. For example, there are people that are allergic to pet hair and dander, so the presence of an animal in the same room may trigger an allergic reaction. There is also a growing body of research that is showing a link between therapy dogs and MRSA (Methicillin-resistant Staphylococcus aureus) and other pathogens as reported by Whole Dog Journal. Normally this disease is passed from person to person, but the transmission is passed through contact with the dog's hair. This is particularly problematic when therapy dogs are used in settings with severely immunocompromised individuals such as children's cancer wards. Cleaning the dogs and the use of hand sanitizer has improved the situation making it less likely that the dogs can pass on these harmful superbugs. Also, every dog that is part of a therapy program will undergo a period of training. Not all dogs end up being therapy dogs, as dogs for therapy work are selected based on their personality and behavior. Such a dog must be calm, friendly, and show no trace of aggressiveness whatsoever. But, the handler or owner of the dog will have to go through training as well, so he or she will know what needs to be done in every situation that may arise. The dogs selected must be suitable from all points of view, as injuries may occur if a dog is not right for therapy sessions. There is also the risk for the dogs to suffer accidents, in case they are not handled right. 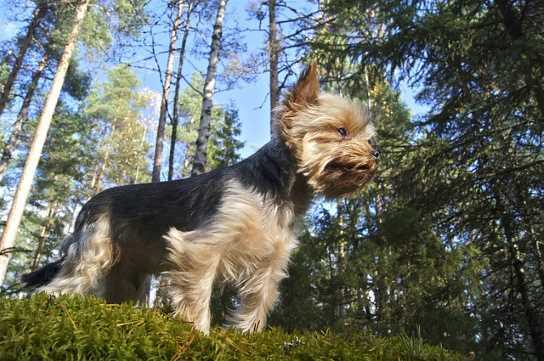 The risk is even higher in the case of small dogs, as they are more fragile from a physical point of view. For this reason it is critical that handlers of small dogs supervise closely. 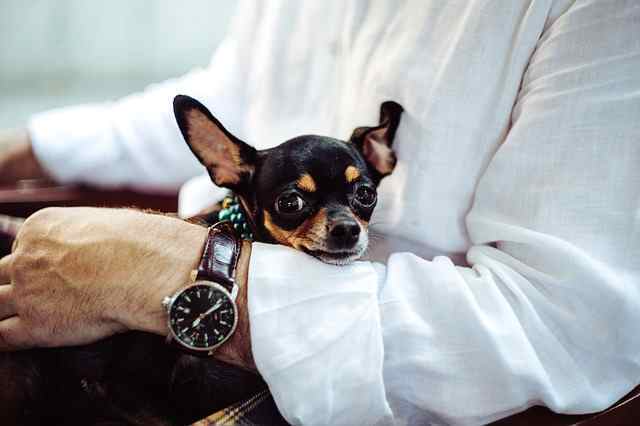 Besides all these, there are cases in which a person receiving pet therapy will claim the possession over the dog that is helping out, refusing to return it to its owner at the end of the therapy session. This can be a very delicate manner, as the separation can induce depression or a poor self-esteem. It is worth mentioning that even mixed breeds can be great therapy dogs, as long as they have a nice personality and temper. So, it is not mandatory for the dogs chosen for therapy work to be purebred dogs. Purebred dogs are not the only great choices for therapy work, certain hybrids can be excellent choices in this type of activity. In order to determine if a dog is suitable for therapy work, whether we are talking about a purebred or hybrid, the dog will have to go through a personality assessment and should respect certain criteria. Besides being well-tempered and calm, these dogs should not shed too much, be well groomed, healthy, and must be very well socialized. Thus, only mature dogs will be used, after their training, education, and socializing programs have been completed. 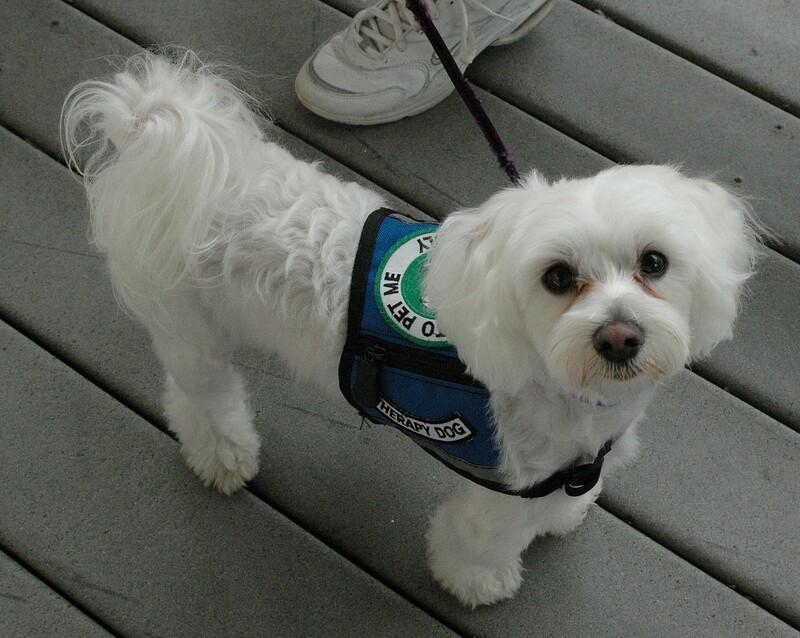 A therapy dog is used not just to cheer up people in hospitals and daycare centers. Such a dog can also become the ideal companion for people with a wide range of impairments. They can become the eyes of blind people, ears of those with auditory impairments, and reliable partner when things are not looking that great. These dogs can alert you when something is wrong or can get help when their owners are in danger. They can fetch items and even pull a wheelchair if we are talking about larger dogs. Besides all of these, they will also offer the moral support one may need. In other words, life can become easier and more beautiful in the companionship of a therapy dog. Besides visiting a hospital, rehab center or nursing home, therapy dogs are also known to be very helpful for adults and children suffering from epilepsy, depression, autism and anxiety disorders. A service dog is trained to perform a specific task such as guide the blind, lend an ear to the hearing impaired, or alert an owner to an impending seizure. They are owned by the person requiring their assistance. Small dog breeds are great for therapy because they can be easily lifted in a patient’s bed even if the patient cannot move. Seniors can also hold these dogs in their lap without experiencing any discomfort or getting exhausted from doing so. They must also be calm even in the presence of an nervous child, and the best small dog breeds good for therapy work must never be shy or fearful of new people and situations. 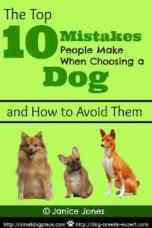 But, because certain characteristics are required when selecting a dog for therapy work, some small dog breeds are better than others for this kind of activities. One of the smallest representatives of the canine world, the Chihuahua is an excellent therapy dog, precisely due to its small stature. They are also extremely intelligent dogs, capable of developing strong bonds with their owners, so it won’t be difficult to make them obey you. Still, they may be more suitable for seniors, as children may hurt this tiny dog if they don’t know how to properly handle it. These mild mannered dogs are known for their gentleness and loving devotion to people. The American Maltese Association recommends the Maltese as an ideal candidate for therapy work because they enjoy human contact and don't mind being petted by strangers, sometimes even awkwardly. 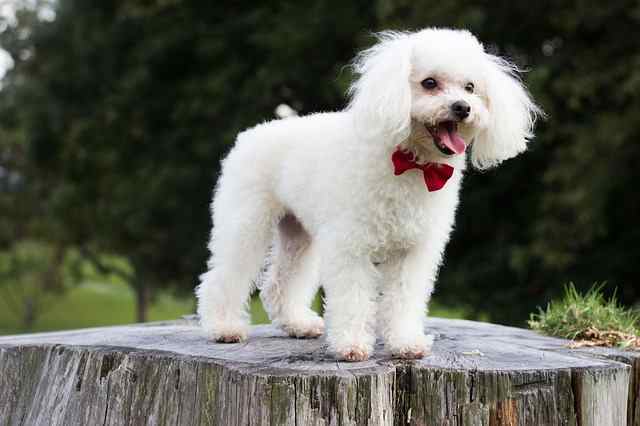 Maltese dogs are smart and are capable of learning small tricks that will delight the residents in hospitals, nursing homes and other facilities. Poodles are very smart dogs, also known for the fact that they shed little, so pet hair will not represent an issue in this case. Of course, grooming is required periodically to make sure that the dog is clean and dead hair has been removed. These dogs have a gentle personality, are very friendly and loving, and don’t pose any challenges when it comes to training. 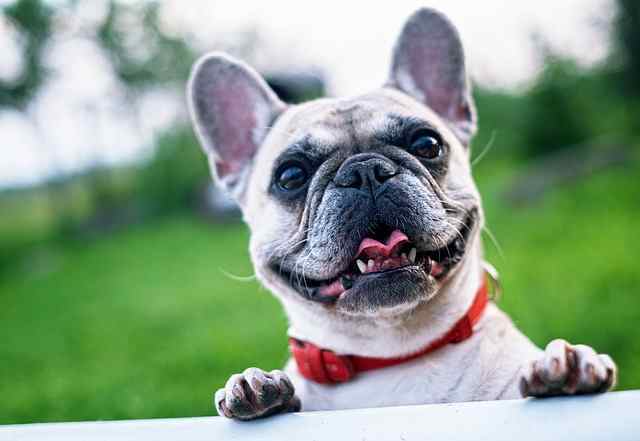 The French Bulldog has everything needed to lift one’s mood and put a smile on that face. These dogs are friendly and know how to grab your attention in a funny manner. A Frenchie will enjoy a person’s companionship, even if it’s not about getting walks. It easily adapts to an indoor lifestyle and it’s perfectly happy with playing games inside. It is impossible not to be charmed by this beautiful-looking dog. 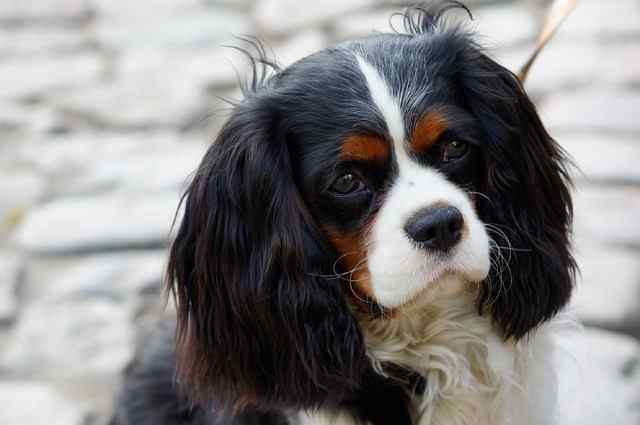 King Charles Spaniel has an elegant appearance and calm temper that make it highly appreciated. It is also a quiet dog, which will rarely bark, and extremely easy to train, as it loves pleasing its owner. One of the dog’s favorite activity is to sit on your lap and will enjoy time with people of all ages. 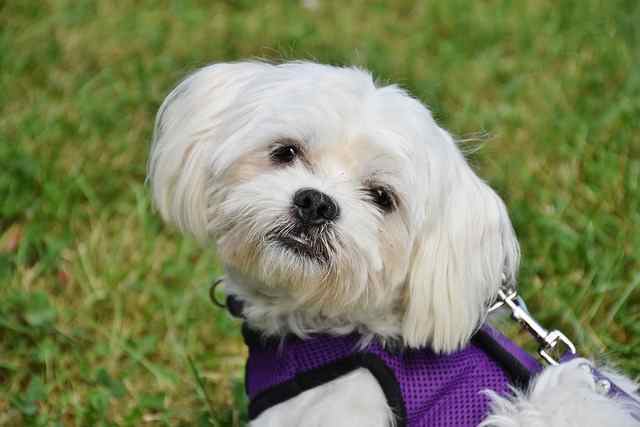 This is another small breed dog that makes a great therapy dog. Its small size makes the dog easy to carry around and its friendly personality will allow it to bond with anyone in a very short period. They are curious by nature, so you will rarely see a shy or reluctant Yorkie. They will accept the companion of any person that will show them some kindness and love. This is why they are such successful therapy dogs. The first ever therapy dog was a little Yorkshire Terrier named Smokey. During World War II, a friend of an injured Naval corporal brought the little dog to his friend's bedside. The dog had a remarkable way of improving morale for not only the corporal but all the injured in the ward, that their doctor, Dr. Charles Mayo began taking Smokey on his rounds. You may recognize the name from the Mayo Clinic. At the end of the day, there is no such thing as a good dog breed for therapy. The above are just breeds more inclined to do so. You just need to find the ideal pup and, with the right training, it will certainly turn into a reliable therapy dog. A good place to start is to train your pup to pass the AKC Canine Good Citizen Test.